Looking back at 2018, the ceaseless global information leaking incidents had happened to large internet service providers, international financial institutions, big airlines and government institutions, etc. These companies have one thing in common: the scale of their investment in information protection is larger than regular corporates and institutions and they are mostly already equipped with layered infosec devices such as next-generation firewall (NGFW), intrusion prevention system (IPS), web application firewall, antivirus wall, and Anti-APT. Yet unfortunately, tragedies of personal information leakage still happened. It is as if no matter how you strengthen your defense with high-end infosec devices, hackers are still able to intrude your place. Passive surveillance mechanism, which serves like front ramparts, is not sufficient to ward off intrusions from hackers. So experts have proposed a new idea: to block threats before they’re still in development. And the key for this lies in “Threat Intelligence Blocking”, which utilizes accurate information of global threats. It’s like being protected by many satellites and ground radars. Through building a densely woven information reporting network, when a missile (infosec threat) is present, it will be detected and terminated way before it reaches your domain. This not only lessens the burden of domestic inspection, but also greatly improves protection. 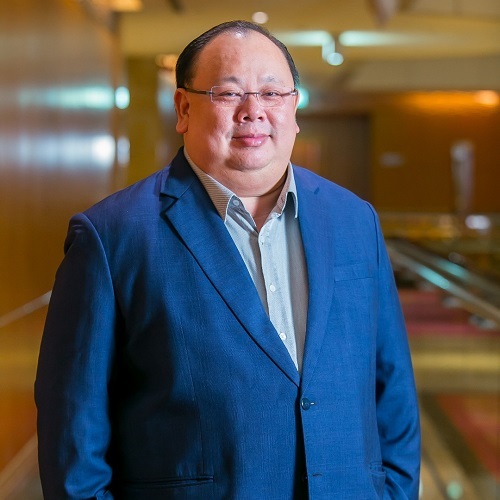 Tony Teo holds the position of Regional SE Director, Asia Pacific at NETSCOUT Arbor. Based in Singapore, his responsibilities include driving all of Arbor’s technical operations, and assist sales force in developing new business opportunities in APAC region. With over 19 years’ experience in the ICT industry, Tony’s areas of solution expertise include network security, application delivery and infrastructure management. Prior to joining Arbor, Tony had worked in HP, TippingPoint, Radware, F5 Networks and Motorola.